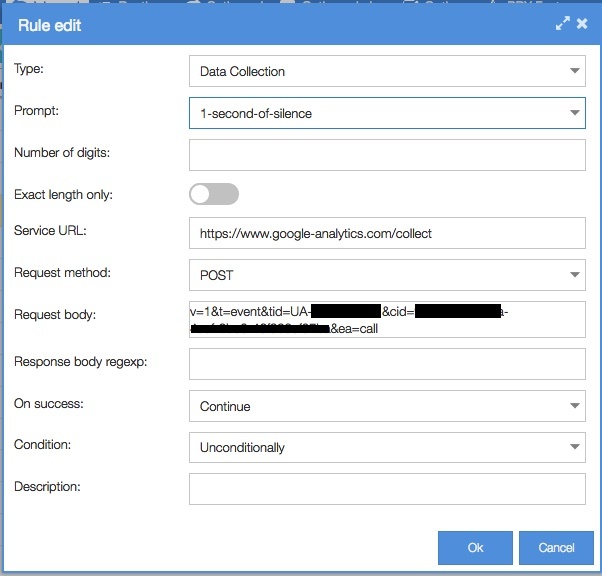 What happens is when your office recieves a call the pbx sends a POST request to Google’s API, including the event type you chose and your tracking code in the request body. Analytics will then register the call for your campaign. Let’s set this up! Prerequisites: you need to have a google analytics account. Don’t have one? You can register here. 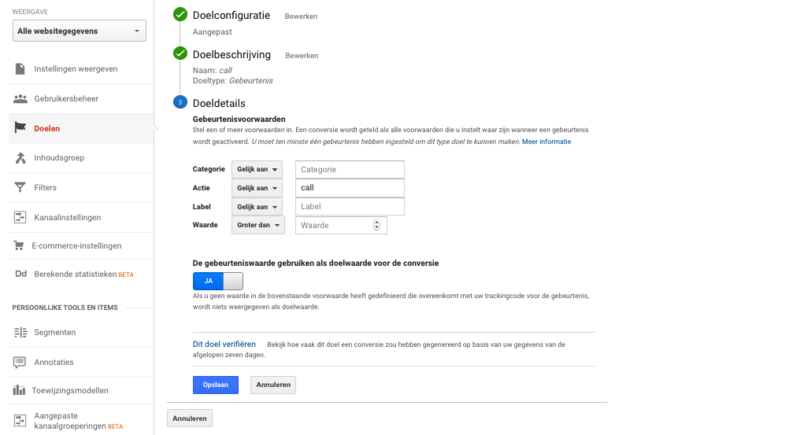 Login to your analytics account and define a new goal, e.g. “call”. Now there’s lot of options to choose from when using goals and conversions. While we want to enable you to use this we’re no online marketing specialists ourselves, so we’re keeping this article pretty simple. Luckily Google has done a great job documenting this in their measurement protocol overview. They have a developer guide and a parameter reference which lists all of the parameters for the Measurement Protocol. 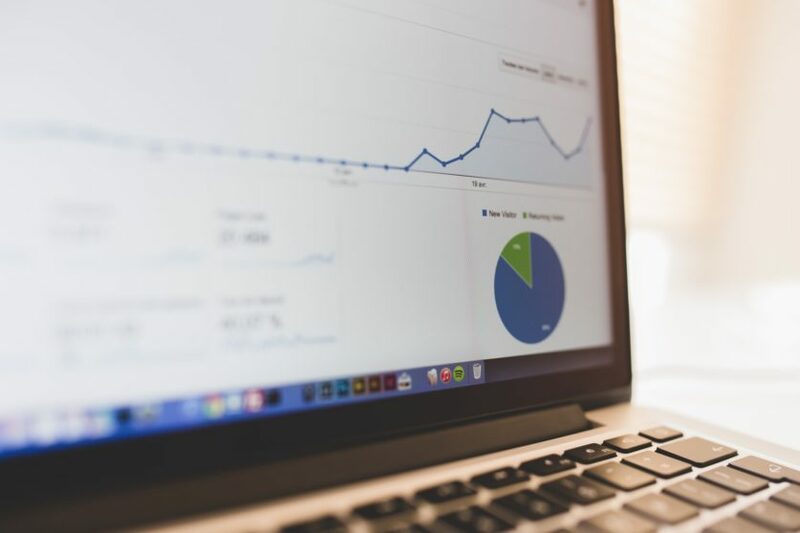 You can use these to explore further what Analytics can do for you. Google’s hit builder is a great way to choose your parameters and validate if they are indeed correct, before proceeding to the next step. You can use webhooks anywhere in your dialplan, wherever you want to trigger the goal action. In this example we’re just adding it to our main DID. Add a webhook rule (before version 4.1.0 known as ‘data collection’ rule). cid = required if User ID (uid) is not specified in the request. This anonymously identifies a particular user, device, or browser instance. The value of this field should be a random UUID (version 4) as described in http://www.ietf.org/rfc/rfc4122.txt. Note that you need to replace the tid ‘UA-XXXXX’ with your own tracking ID and the ea ‘call’ with the name you’ve given your event.